Can we agree that Team Fortress 2 is the parent of Overwatch because of the mere fact it was released first? I think majority will agree with me on that since Blizzard said that they took ideas from Team Fortress 2 and applied them on their FPS baby. So if ever there is like a TF2 Market system in Overwatch, it will be very obvious that the idea came from, well, Team Fortress 2. With the luxury of Overwatch to be able to see the mistakes and what Team Fortress 2 lacked, they were able to avoid those. Now that Overwatch is gaining massive success by covering those cracks and holes of Team Fortress 2, Team Fortress 2 players are suggesting that things be fixed in their game. Now the tables have turned, Team Fortress 2 is learning from Overwatch. Heck, Team Fortress 2 even added a competitive mode because Overwatch has one. Yeah for sure, Valve did this because they just got the idea from Overwatch. TF2 could really use these. I also liked respawn-timer on healthkits. In the end, it is all about exchange of ideas and learning from each other. There is nothing bad about it. 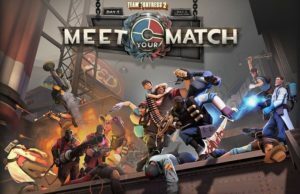 As Team Fortress 2 gets better with the updates and changes, we shouldn’t trade TF2 for Overwatch or another game yet. It is just sad that it took them so long to realize the things missing in the game.